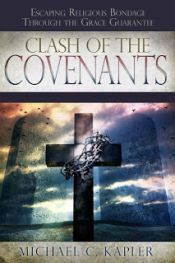 Under the Old Covenant the Jewish people worked tirelessly every single day in their attempt to establish their own righteousness before God. They didn't understand the righteousness of God that has now been revealed to us under the New Covenant since the death and resurrection of Christ. Believers today can also find themselves ignorant of God's righteousness which can lead to discouragement, unbelief or (when self-righteousness arises) even pride. Let's be reminded we have no standing before God in ourselves. Not through any one single act. Ever. Avoid the blindness of pride and the guilt-ridden road of disappointment from believing in "yourself" by trusting in His designed purpose and plan of blessing for you.